The Audit Commission has reported that some of the highest levels of poverty in the country exist in our very own Kursaal ward. Christmas can be a particularly tough and stressful time for those classed as impoverished, including the homeless. 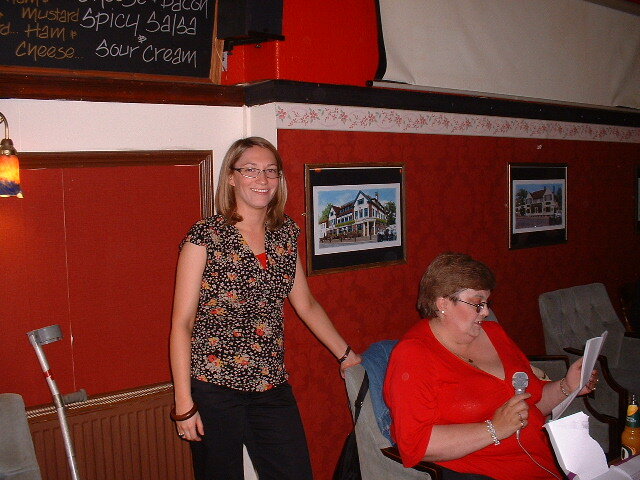 Louise Burdett, as Chair of social action group the Kursaal People’s Foundation, recently organised a quiz at the Castle Pub, Eastern Esplanade, which helped raise money for HARP towards providing meals for the homeless over Christmas. Louise said: The quiz was a great success and proved that people are about those in the community less fortunate than themselves. We raised a significant sum of money which we were delighted to hand over to the marvellous people at HARP. Cllr Blaine Robin said: Louise’s work in this area is brilliant. During a recession it is easy for people to get caught up and be made homeless through no fault of their own. That’s why it’s great when the community comes together like this to help out.